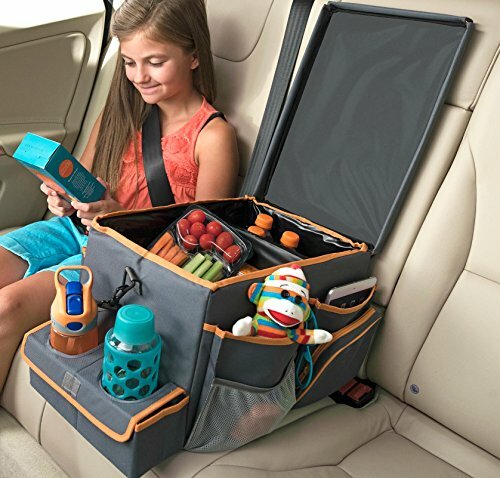 Best Backseat Car Organizer Ideas for Kids to HELP Save Mom's SANITY! 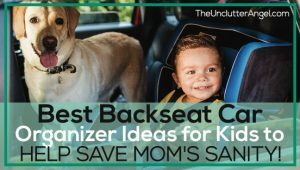 Best Backseat Car Organizer Ideas for Kids to HELP Save Mom’s SANITY! How to Keep the Backseat Organized with Kids! No matter your child’s age, keeping the backseat clean and organized can be a challenge. If I can create a space that keeps the kid’s stuff from rolling around and hearing things flying about in the back seat, that makes my carpool drive less stressful! 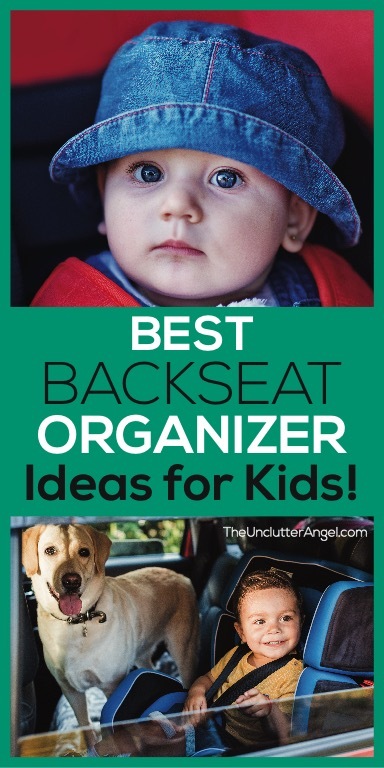 If the backseat area has simple, easy, even FUN ways for the kids to keep their things organized and picked up, you are going to be successful! This video is an oldie but a goodie . . . MOM MY RIDE! Keeping a sense of humor is a must for me when it comes to organizing the family. 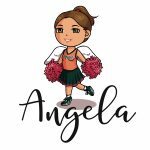 I can find myself overwhelmed if stuff gets piled up in the car or around the house, and being able to implement simple systems and letting the more challenging days roll off my back make the piles seem like less of a deal and help save my sanity! Implementing simple systems, especially when they are cool organizing systems like the ones I share below, will keep you kiddo motivated to keep picked up and take pride in their space! Before you purchase any cool organizers, you may want to clean out the car and take measurements to see what you have space for. I also think about how do the kids use the back seat. Do you have younger kids that need space for toys or books? Do you have older kids who don’t need as many compartments to keep things? 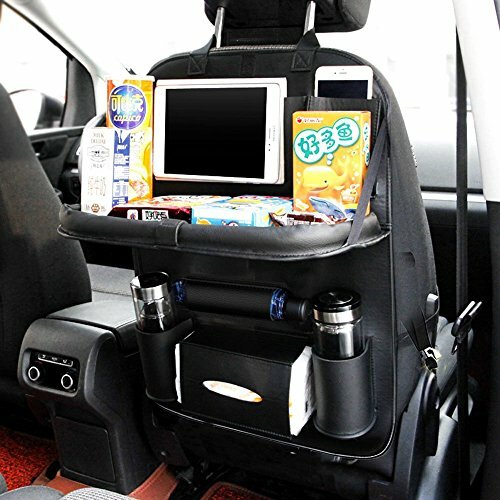 Having over the seat organizers for the kids can help them put their things away easily as they are getting out of the car instead of leaving things on the seat and allowing things to pile up. You can chose individual organizers for each kiddo, or one large one to run along the back of the seat. Just like in the home, having systems set up will help to keep things picked up off the floor! Kids may be more inclined to keep their space picked up if they have a special organizer of their own. If you have more than two kids in the back seat, maybe designate certain pockets of an organizer to each kid, or have a storage compartment that can rest in between the children in the back seat. 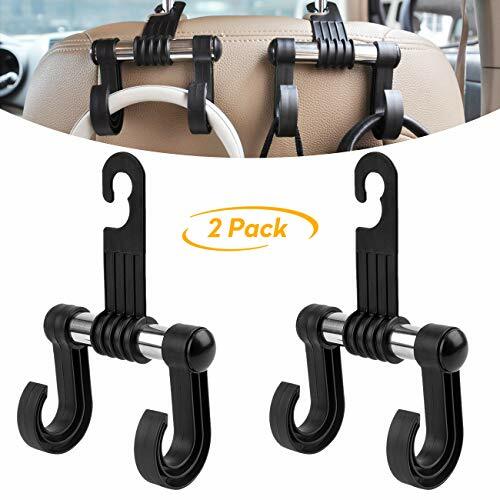 Individual hanging organizers are practical for those who have a mini van with enough seats to accommodate a hanging organizer, or two kids in a back seat of a car. There are other clever solutions I’ll show you below if you have lots of kiddos in tow or want something a little more compact. 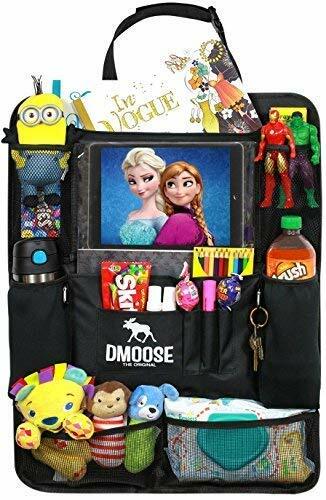 What kid wouldn’t be pumped to keep organized looking at this back seat organizer? 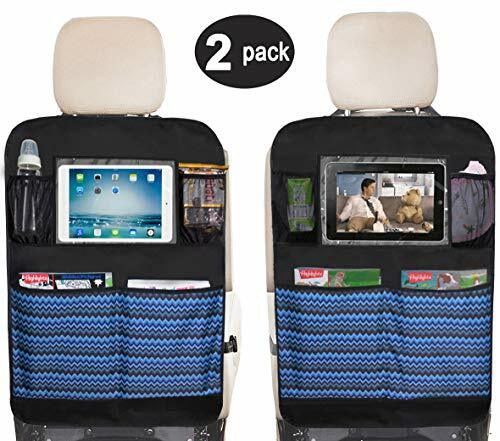 This backseat entertainment organizer has eight pockets. It includes space that can hold tables, toys, treats and more! There are many mesh slots, for storage. The smaller pouches are cool for little snacks, combs, wipes and more! 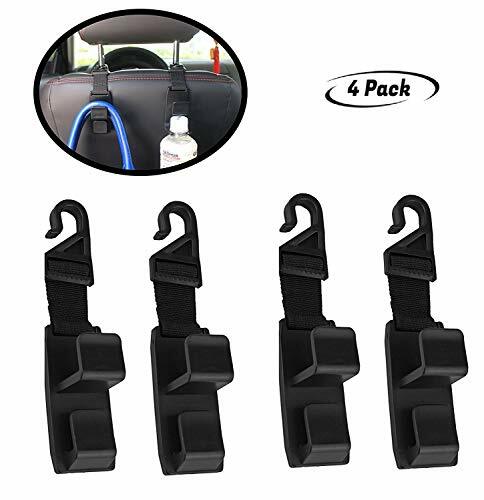 The organizer hangs from the headrest, and has straps that can keep it from swinging. The bonus is this organizer is it is long, it may keep the kids from putting the feet on the seats! YAY!!! If your kids are grown, or you don’t have kids and carpool with adults, hooks may be a great solution to help keep your backseat organized. 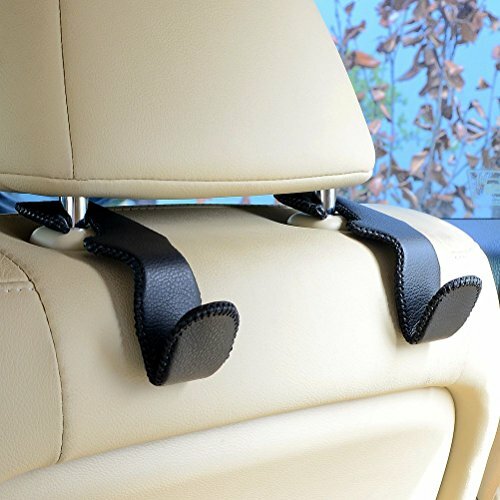 You may not need all the pockets and compartments with the seat organizers. These hooks still give you a place to hang your purse and other bags you don’t want to place on the floor. 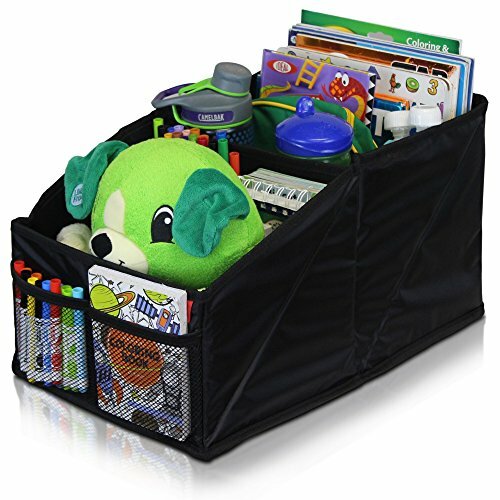 On days where you have more errands to run, or you are taking a long trip in the car, a back seat organizer with tray can be a great tool to keep the kiddos busy. This organizer with tray has lots of compartments for coloring supplies, snacks and tablet gear! Other compartments include a slot for tissue and drink holders for water bottles. This covers most of the back of the car seat, helping to keep adorable little feet from not resting or pushing on seat in front of them. This is great for any age, the young and even teens who want to work on things in the car while out running errands with mom or on the way to their extra daily activities! If you have two kids per row, whether in a regular car or mini van, a car seat cooler that is also an organizer may be a good solution! 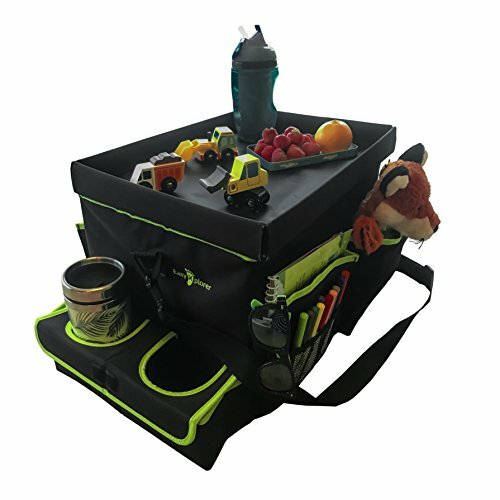 It not only holds drinks and supplies, it has a top that is sturdy to hold the kids items like toys or snacks. You can also take it out of the car and carry it to the park or use for playdates and field trips! 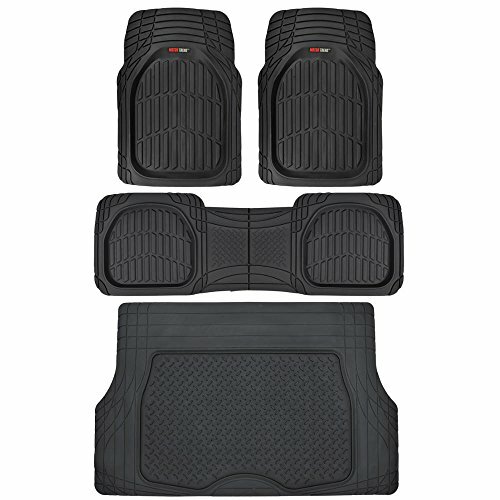 Whether you live in an area that has lots of snow, mud, or sand, having car mats that are easy to clean can make a big difference! If the kids are snacking in the car, stuff will eventually get spilled and crumbs will add up! Having rubber mats will save you time. You can take them out and quickly rinse off, instead of carpet car mats which stain easily and sometimes not easy to vacuum up everything! I have had both and the rubber mats will save you tons of time! The organizers will help to keep things up off the seats and the floor. But with busy families who are always on the go, there is still wear and tear. Take regular time to rinse of mats and wipe down the interior of your car. Keeping a package of cleaning wipes in the car at all times are great for those unexpected moments when spills happen, as well as for the down time you have waiting in the car when you can sit and wipe surfaces down. It doesn’t take much time to do a quick wipe down, but it makes a huge difference keeping the car fresh! The more frequent you clean out the car, the less hard, deep cleaning work you will have to do!